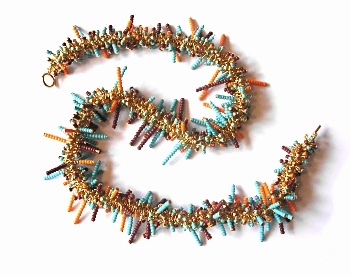 This necklace, a variation on my original Spiky Necklace was made using 1000 wrapped loop finished headpins! Instructions for this necklace are available to purchase. A project based on the original necklace was featured in the Summer 2006 issue of Step-By-Step Wire Magazine.